Dental implants are one of the most popular treatments we provide at Penn Dental Medicine. Despite this, many people first come to our office assuming that they won’t need this solution. To learn why implants are such a common solution here at PDM, try this myth/fact quiz on what makes top Pennsylvania dental implants so good, and when people do or don´t get this treatment. Is Each of the Following Dental Implant Statements Myth or Fact? Dental implants have a very high success rate in terms of dental permanence and functionality. 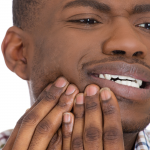 Between 20% and 30% of Americans aged 35-44 are missing at least one tooth. It is impossible to get a cavity where you have a dental implant. You can tell that a tooth is actually an implant just by looking at it. Dental implants are good for the natural bone in your mouth, unlike other dental solutions. Dental implants may have a higher upfront cost, but their health effectiveness means that you spend less in the long run. Penn Dental Medicine has Pennsylvania dental implant experts who can ensure the success of your operation. Fact! Official statistics on dental procedures show that dental implants have a 95% success rate, a figure which increases when a specialist performs the procedure. Myth! 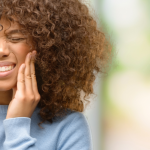 The rate of Americans in this age range missing at least one tooth is even higher at 69%, according to the American Academy of Implant Dentistry. 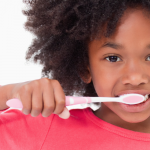 Considering the young age of most Americans when they first lose a tooth, it’s even more important to find long-lasting solutions that don’t require multiple visits to the dentist down the line. Fact! Most dental implants are made of titanium, a material that the body accepts when it is fused to the natural bone in your mouth. That’s why a dental implant isn’t subject to dental decay like your other teeth: it can’t be broken down by the bacteria in your mouth. However, it’s very important to continue brushing and flossing because the teeth surrounding your implant remain vulnerable. Myth! One reason why dental implants are so popular is that you can’t distinguish them from natural teeth. Designed to fit perfectly into your mouth, a dental implant will look and feel just like any other tooth. A crown is customized to be placed on top of the implant, giving it the same appearance as the surrounding teeth. Fact! When your jawbone isn’t supporting natural teeth, it deteriorates. Dental implants are the ONLY restorative dental treatment that preserves natural bone, stimulating bone growth. Dentures and non-implant options often work fine for a time but in many cases lead to problems in your jawbone. Fact! While traditional dental bridges last 5-7 years, dental implants can last a lifetime when cared for adequately. That’s why, even when dental implants have a higher cost upfront, they will most certainly cost you less than other replacement options, which require you to go back over and over to get fixed and replaced. Fact! PDM has the only graduate prosthodontics clinic in the Philadelphia metropolitan area. Prosthodontists are the dental profession’s highest ranking dentists. 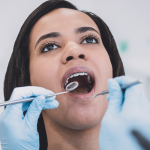 With a higher level of education and specialization than any other dentist specialist, prosthodontists are the best doctors to visit when you have a complex operation such as a dental implant. If you have lost a tooth (or more), it’s essential that you get dental treatment from qualified professionals as soon as you can. Worried about your budget? At PDM you don’t have to be. We offer discounted prices as part of our offer as a dental school clinic. Also, don’t forget to bring this $25 off coupon for your first visit! And, learn more about our expert doctors offering top Philadelphia dental implants.